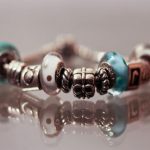 23 Latest PANDORA Rings 2019 & Styling Tips - Awesome Design, You Most like! You can gift them their favorite item of jewelry to make them happy in their toughest time. Because rings are something more than any other jewelry. But if you want to express your feeling with any jewelry, a ring is the best option! Pandora has a huge collection of rings for any occasion to choose from. You can choose for yourself or your friends and family to celebrate and inspire them at their special moment. But you need to be a little bit careful about size and design while buying a ring. Because if you get the wrong size, it can be the cause of regretting. But if you consider the following tips I’ve mentioned, you’ll be able to get the perfect ring which can help you to make your special moment more precious. A glance on it this ring seems like two sparkling ribbons are twisted. These ribbon like thin stripes are embellished with cubic zirconia stones all around. It is perfect as it is for daily use and corporate environment. You can also pair this ring with your other stackable pieces to create own statement. A girly ring with a cute little bow on top. 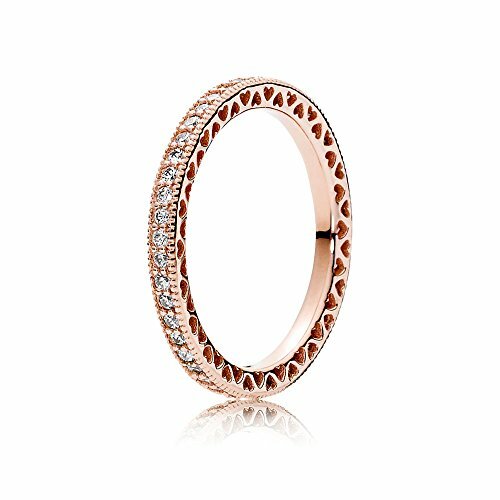 Rose gold is plated on sterling silver to give this ring a warm pinking vibe. The front part and the bow at the center is covered with cubic zirconia for glittering effect. 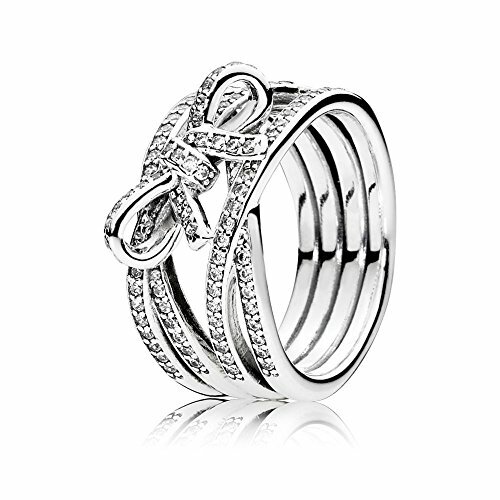 I don’t like to mix this ring with any other stackable ones; that ruins the delicacy of the bow. Pairing this ring with a classic one only complements this ring properly. Silver ring with a big round zirconia at the center. The line of clear stones around the round stone and the front part of this ring gives it a traditional taste. It can be a great gift for the elders of your family like mother, in law or grannie, to win their hearts. It is budget friendly but by the look of it, many mistake this zirconia ring as diamond. Another ring of timeless elegance series. This one is adorned with a bid square Zinconia at the center. The square shape of the center stone makes it bolder. As a budget option for wedding or engagement ring, this one is an ideal choice. You will want to wear this ring for the rest of your life once you have it. 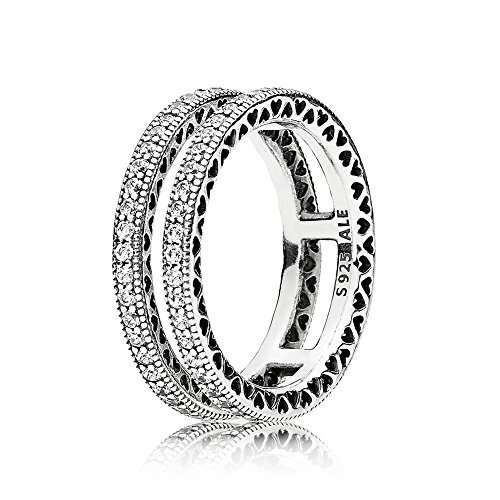 This ring is suitable to wear for day to night events. This one is a sterling silver ring with simplistic design. Tiny cubic zirconia stones are placed all around the ring. A large heart shape with a bigger clear cubic zirconia stands out from others and is placed in the center. It is a budget ring to wear casually with your daily outfits. While going out, mix and match this ring with other ones to make it more suitable for an outing. 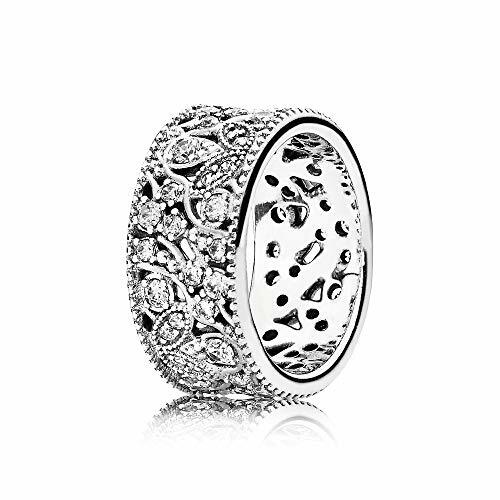 It is a gorgeous sterling silver ring with leafs all around its ½ inches wide outer side. The 60 pieces of cubic zirconia placed in those leafs for a dazzling look. Evening parties and dinner dates are the best occasions to wear this ring. Shimmering leaves of this ring is enough to complement your gown. 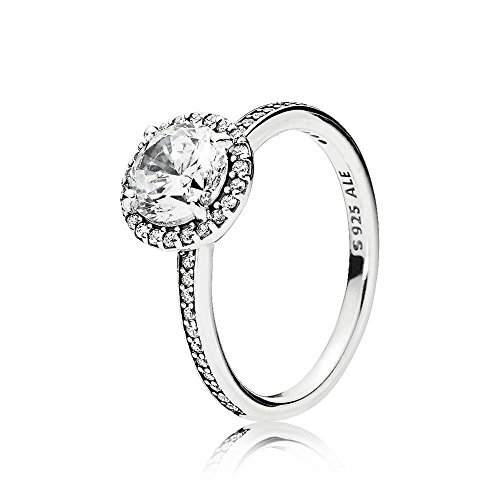 Even an ordinary dress will create a stunning impression when paired with this ring. 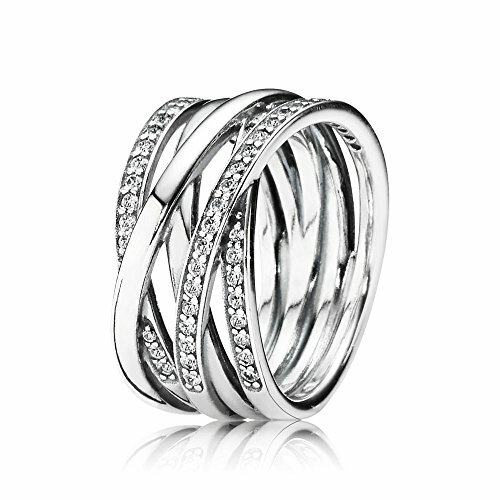 A beautiful silver ring, combined with five rings, entwined with one another. Three rings are cubic zirconia studded all around and two are classic polished rings. Together all these rings give this ring a considerable width, that, it is perfect this way, no need to pair this with any other adornment in your hand. 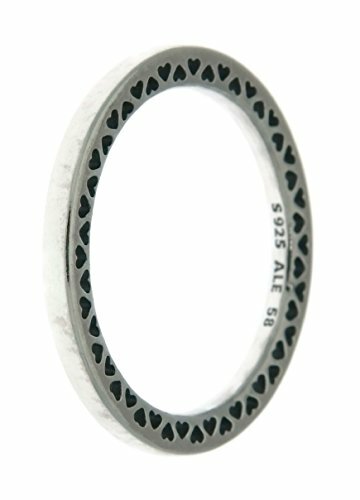 When in a rush, slip this ring in your finger. Because, you don’t have to think much about whether it matches with your outfit or not. It goes with every outfit and fits for any event. 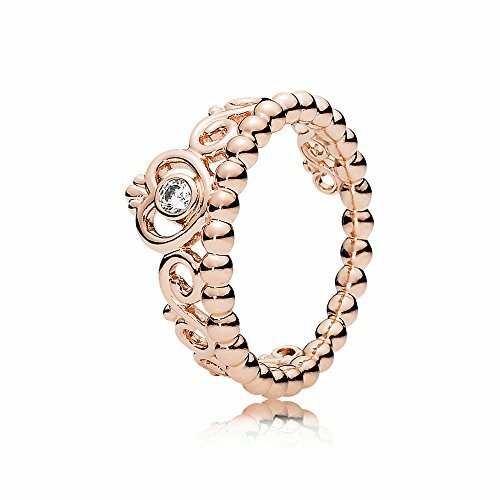 This one is the rose gold version of the previous item from PANDORA. 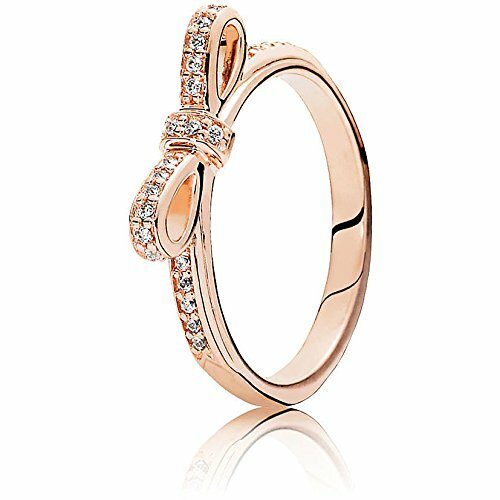 The beautiful rose gold color on the ring emphasizes the white cubic zirconia stones on it. It is perfect to create a luxurious look and can be worn in grand events. Compared to silver, this color looks better on olive and tanned skin. Two sterling silver rings are welded together with a small gap in between to create this artistic ring. Apart from the cubic zirconia stones all around the two rings, little hearts are engraved on both sides of these ring, making it more beautiful. It is a size 16 ring. So, it will perfectly fit on women with wider fingers. Besides, it can be worn on thumb of others as well. The gap between the rings creates an illusion of wider width. 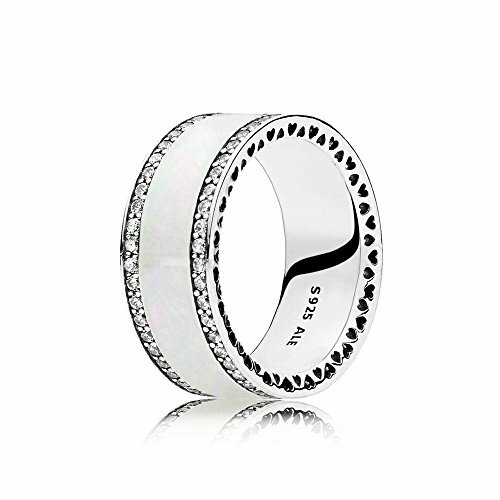 Four strands of zirconia studded sterling silver are used to form this ring. The in between gap creates a crisscross shape, making this ring wider. This one is a wide ring, does not need any other accessories on hands to emphasize your look. It is a trendy piece, so, it is better not to wear this ring with traditional cloths. A slim silver glitter ribbon is wrapped around your finger and tied in a knot; that’s what it looks like after slipping this cute ring on. 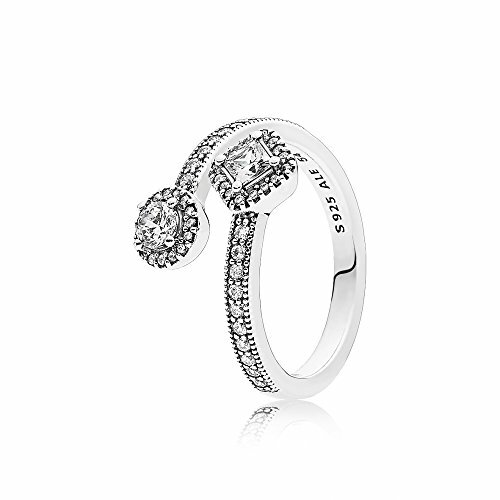 This girly ring goes with feminine and romantic styles. 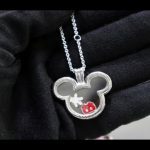 It can be a perfect gift for your sister or girlfriend. A super simple slender ring with cubic zirconia paved on it. 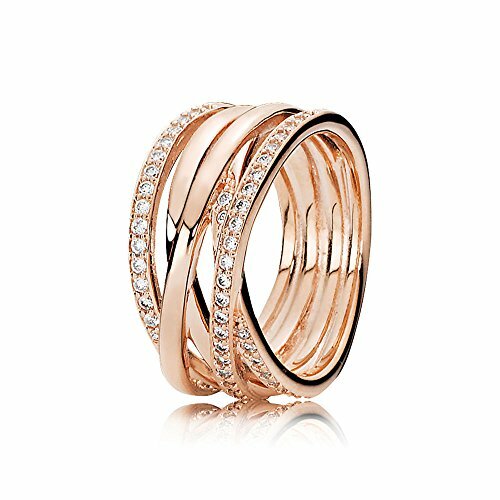 Rose gold is plated on sterling silver ring. Little hearts are curved at the sides to enhance its beauty. The gorgeous rose gold color of this ring speaks of its own. It is a stackable ring; I prefer putting this on the outer side if you are wearing three rings together. That way, the tiny hearts at the side of the ring will show! A simple, classic polished silver ring with no stones. 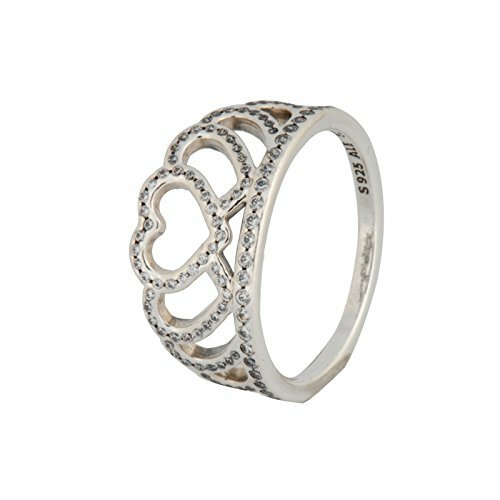 However, PANDORA’s iconic hearts engraving at the sides of this ring makes this ring unique from other classic style rings of different manufacturers. You can never go wrong with a classic piece of jewelry. 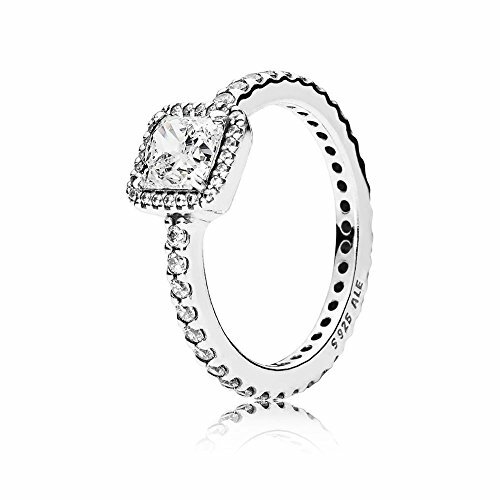 This ring is a must have for every PANDORA lover. 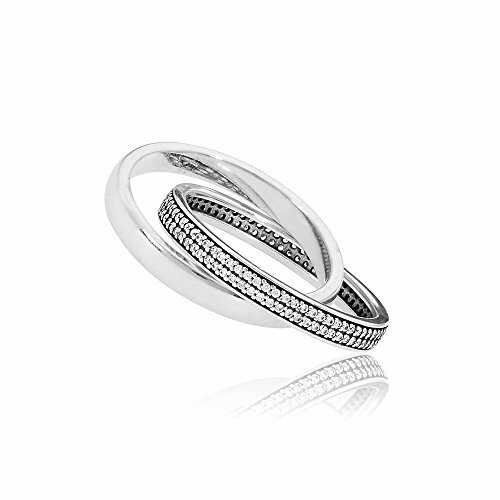 As a gift, this ring will suit ladies with minimalism philosophy. It is a tiny princess tiara for your fingers. Sterling silver and large zirconia are used to create dazzling effect. It is not stackable type ring, but still you can add one thin ring at the bottom of the tiara to make it look bigger. For a budget gift, you can invest in it for the girls who still believe in fairy tales. 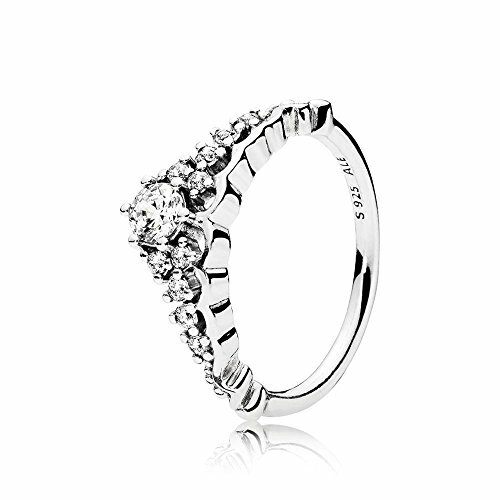 A simple crown shaped silver ring with zirconia all around. Nowadays looks are incomplete without a crown ring. This ring is simple and large to wear this alone on your thumb. Rose gold plated silver ring with curved princess tiara design. Only one zirconia is placed at the top of the crown to make statement. The best part of this ring is, it fits in a tight budget. As there is one stone only, the price is far less than the multiple stone ones. Besides, the curved design of the tiara makes this ring wide and more noticeable. Wear it at friend’s day out with casual or girly clothes. Silver ring with princess tiara design. A small zirconia is placed on the top of the crown. 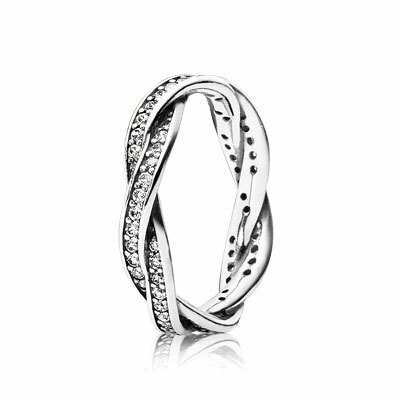 This is one of the best selling rings of PANDORA from 2018 collection. Everyone wears this putting the tiara on front. I suggest doing the reverse. Experiment with placing the back of the crown at the front. This will look different guaranteed. Silver ring with heart shaped princess tiara design. Lots of zirconias is placed on the top of the shapes of heart of the crown. Like other tiara rings, this is sufficient all alone, or can be paired with others for more dramatic beauty. Little hollow hearts are crafted all around this silver ring. 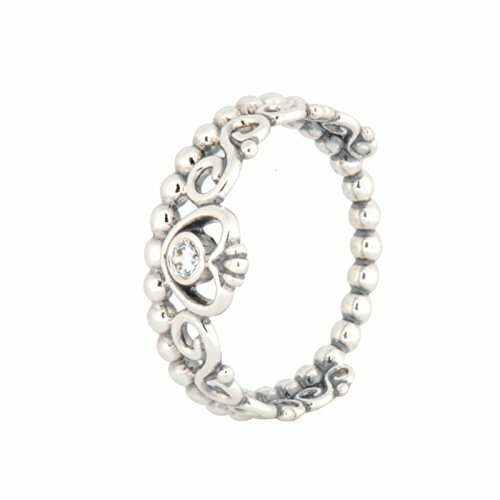 The outline of the hearts are dotted to give this ring a rugged texture. It is a pale ring. Wearing this ring with other colorful ones pops up the hearts instantly. Hearts of love ring comes with two hearts at end of this open ended ring. One heart has white enamel paint on it and another one is polished. The body of the ring is dotted. Finally, a re-sizable ring in this list! The advantage is, you can wear this on any finger. These kind of rings are left alone on one finger. Staking this with other ones never leaves good impression. A open ended ring with zirconia stones. It is silver and has large square and circular stones at the ends of this ring. It is a beautiful eye-catchy ring. Never wear anything bold with this to over do your accessories. Mid aged women love this piece of rings; so, this one can be an unforgettable gift for your mother or big sister. It is more of a band, less like a ring. Made with silver and crafted with zirconia on the borders of the band. The middle part is enamel painted for eye catchy boldness. 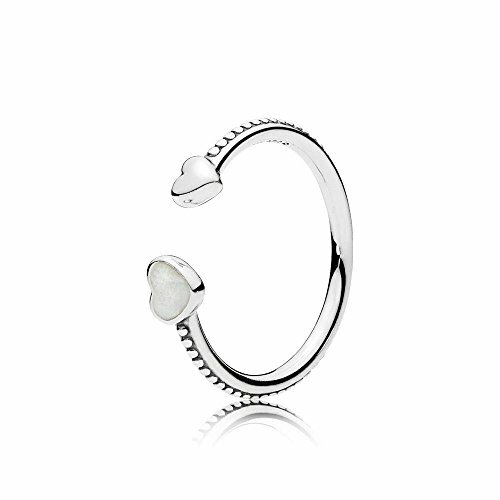 The sides of this wide band is engraved with the PANDORA signature little hearts. It is a bold piece of jewelry, hence you need to wear it more carefully and be choosy about where you are taking it. It is best to wear it alone to minimize the confusions. Because, sometimes less is more. 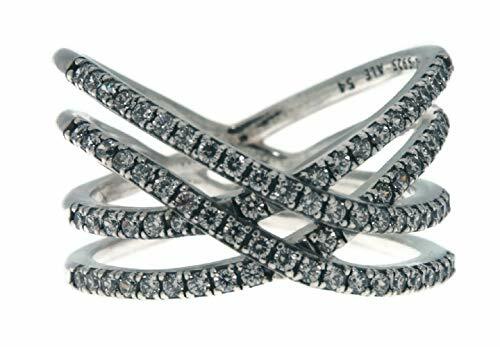 It is a fashionable ring which is made with combining two different rings in one. One ring is sleek and has PANDORA marked on it and other one has beautiful texture of zirconias on it. It is best to wear this piece with super trendy attires to maximize its charm. Try to make your other accessories minimal to make it more noticeable. As a gift, it is one of the best choice for engagement and wedding. Give this to your woman to promise your love and faithfulness all your life. If you’ve planned for buying a ring for yourself or to gift to someone, Pandora is the best choice as they have a wide range of collection. You can choose one for everyday use or for any special day or you can even choose their statement collection to express yourself to someone. So before buying a Pandora ring you need to know about the available types of them. Pandora’s stacking rings are today's popular trend. They are beautiful and wear in a set of 3 or 4. You can create your own style with them in a unique way. You can add as many as you want and create your story. They are available in all types of metal. The best thing with Pandora stacking rings is there are no rules, you can choose whatever you want and make your own style. You can also choose from Pandora’s statement ring collection and mark anything significant. In short, Pandora statement rings can be a unique way to express yourself to your dearest one. They are available in sterling silver and 14k gold. 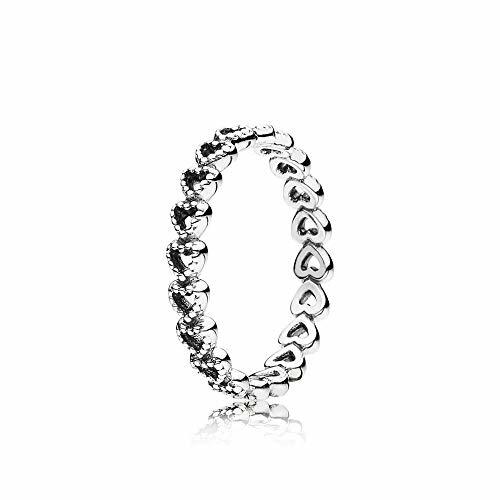 Pandora eternity rings are the most amazing way to symbolize your timeless devotion and endless love. This collection represents your love & commitment and can be a thoughtful, romantic gift to your loved one. Pandora Tiara ring collection is the best option for a parent to express their affection and love to their little princess to cherish her. And they are the most popular collection in all. Pandora’s birthstone collection is a great way to celebrate birthdays. You’ll find two different types of birthstone ring in their collection- with a bauble band and another one is with a smooth band. You can also wear them with stacking rings by pairing with any silver or cubic zirconia bands, they will work as a frame and show the birthstone. If you choose a ring with a slim band you may need to go down for a size as it will slip easily over your knuckle. But if you are choosing a wide band, you need to go up for a size to be comfortable with it. If you are buying stacking rings, you should go for a little big one. Because the more ring you add to your finger, the tighter it becomes. So it is better to have some room to start with. Usually when you are trying rings for buying your hands will become warmer, at that time you’ll find them little bit expanded. And when your hands are cold, they shrink a little bit. So while buying the Pandora ring, you should consider this and choose the right size. 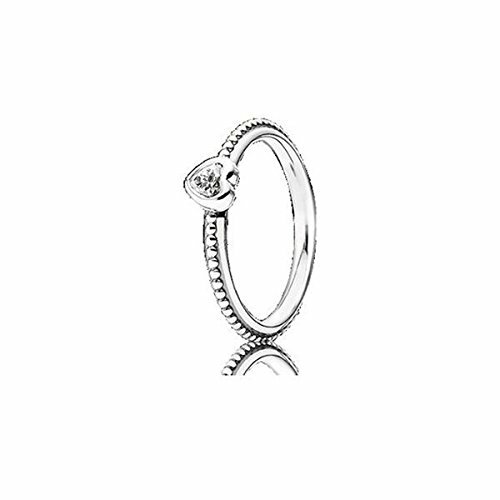 Pandora uses European sizing for their rings and the size range is 48- 60. You can contact their customer support regarding the size you need or download their sizing guideline to determine the size you need. If you’ve found your Pandora ring, you need to take proper care of it to wear it for a long time. Though all jewelry tarnishes with time, proper care can stop it happing faster. You can follow these easy steps for taking care of your favorite Pandora ring. You may love to wear your Pandora ring forever but to protect it from tarnish, you should remove it sometime. Pandora recommends to remove the ring before bathing and swimming or other sports activity or before going to bed. According to them, the best practice is to not expose your ring to UV light or any rough cleaning products or chemical. When you are not wearing your ring, store it in a tarnish resistant pouch or ziplock plastic bag. Always store them away from natural sunlight and heat. And never leave it in the bathroom as it may come in contact with water which accelerates the tarnishing process. For regular cleaning, you can use a polishing cloth. If you want to clean your ring thoroughly, you can use soapy lukewarm water and a soft brush to clean it. And after cleaning with water, you must let it dry properly. Buying a ring for you or someone you care is the best way to express your ultimate care for them. Hope you have got the basic idea about Pandora rings. The most important thing for choosing a ring is the style and then determine the right size. So it’s simple as pie! And you must have known that they have a huge collection of rings. You can choose for any occasion and as a gift for your loved one or for yourself. The most interesting thing is, you can use your Pandora ring as a pendant in your Pandora chain. So get them for you or your friends and family and express your unique style!